Experts say the potentially deadly barber’s pole worm is popping up in unexpected places following the spring and summer rainfall that was higher than usual. “We’re seeing barber’s pole worm in areas we’ve never seen it before,” said vet and parasitological expert, Dr Susan Swaney, Livestock Technical Services Manager for Virbac. Producers from St George in Queensland through to Gippsland and Western Victoria were unprepared for the barber’s pole worm threat and are losing stock due to the irregular weather patterns as of late. “Graziers need to be on guard for signs of lethargy, anaemia and sudden death, especially in young sheep”, said livestock consultant, Colin Trengove, of South Australia’s Pro Ag Consulting. Barber’s pole worms can have a significant impact on sheep productivity, including reduced wool growth, reduced weight gains, reduced milk production, reduced growth and in the worst scenario, it kills the sheep. 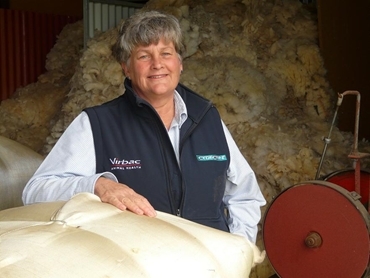 Sheep producers who do not change their drenching strategies will put their stock at risk and with wool and prime lamb prices at record highs, it would be wise to consider to reap the benefits. “A WEC (worm egg count) may indicate that producers have to add an extra drench to their normal program. Cydectin Long Acting Worm treatment Injection for Sheep (Cydectin LA) is ideal for this. It gives three months’ peace of mind that your sheep are protected against barber’s pole and brown stomach worm (Ostertagia),” said Dr Swaney. Sheep farmers form Victoria, Nick and Sara Moyle, use Cydectin LA as a strategic drench. Cydectin LA treats and controls roundworms (including barber’s pole worm), nasal bot and itchmite in sheep. It is a potent drench, which gives it fantastic protective qualities and makes it perfect for even highly contaminated pastures. “When prices at a high and production losses potentially being costly, it’s really important that you keep a close eye on your sheep in a year that has had such a wet summer. Conduct Worm Egg Counts and use an effective drench to avoid sheep losses,” concluded Dr Swaney.